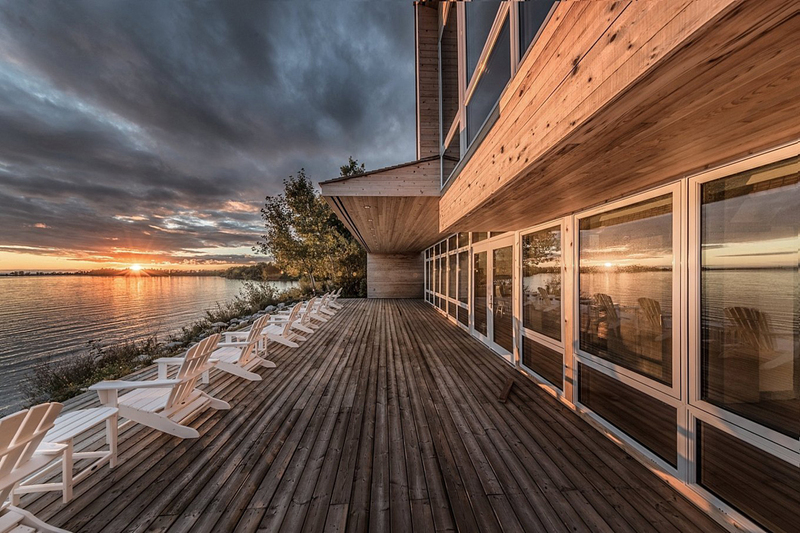 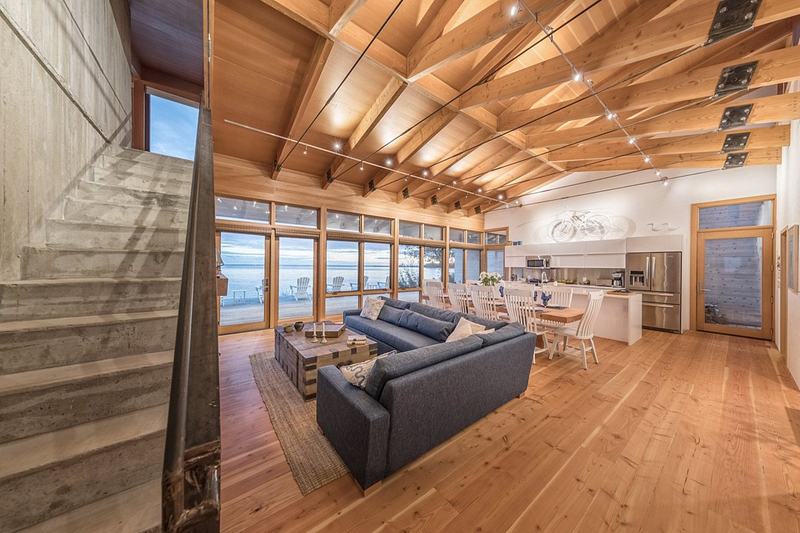 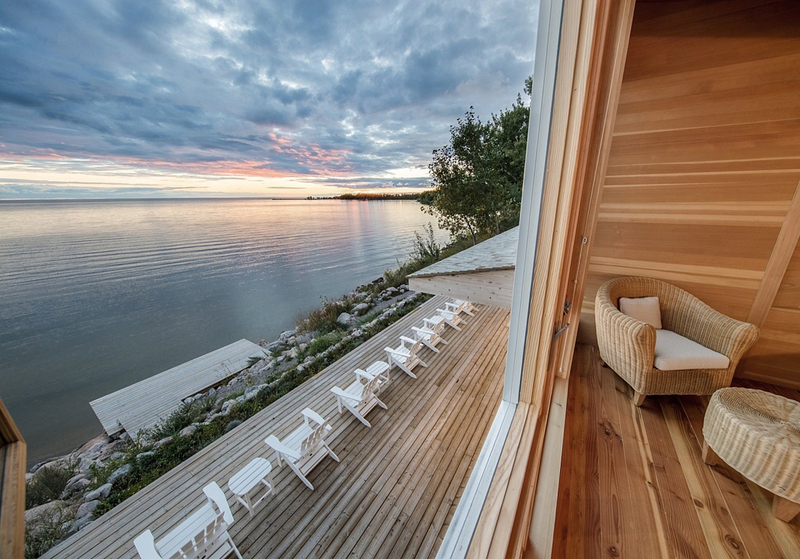 Located in a gorgeous coastal landscape in Victoria Beach, Canada, Beach House offers its owners the perfect opportunity to relax while admiring the beauty of nature. 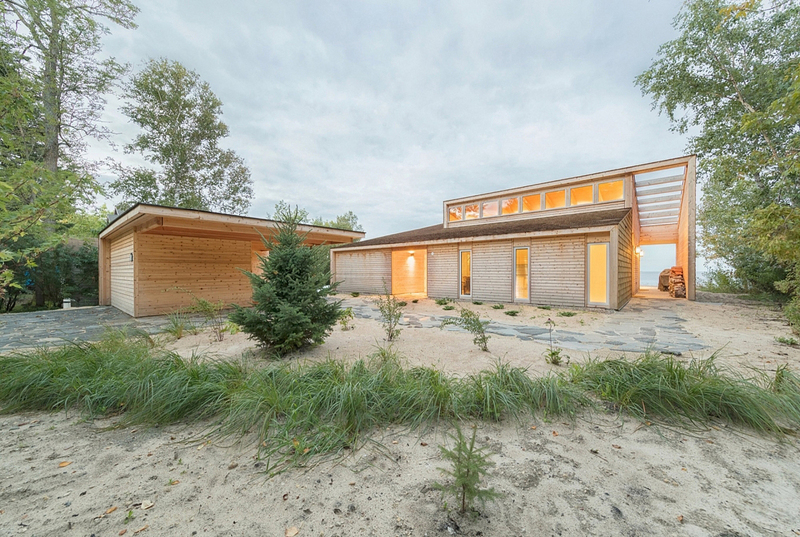 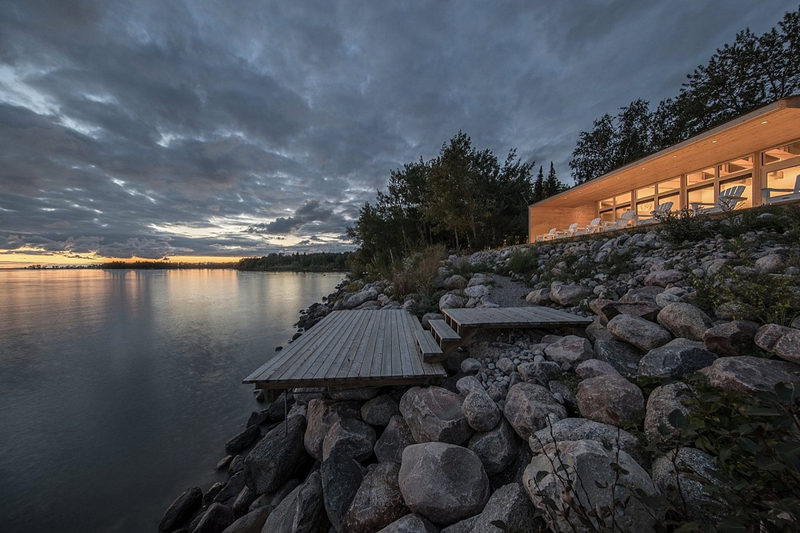 Designed by Cibinel Architecture, a studio based in Winnipeg, Manitoba, the structure combines elements of vernacular architecture and modern design with an emphasis put on natural materials and comfort. 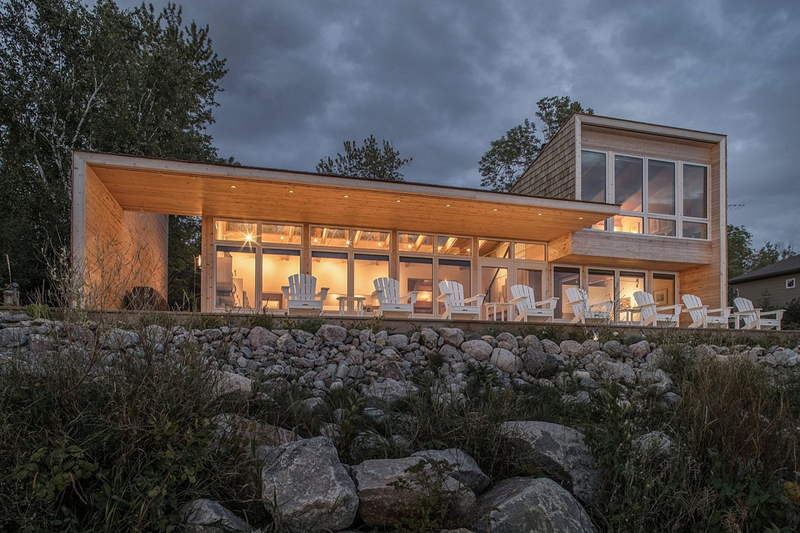 Using cedar and fir wood throughout, the studio maintained the look and feel of local stone and wood cottages, integrating the structure into the natural landscape at the same time. 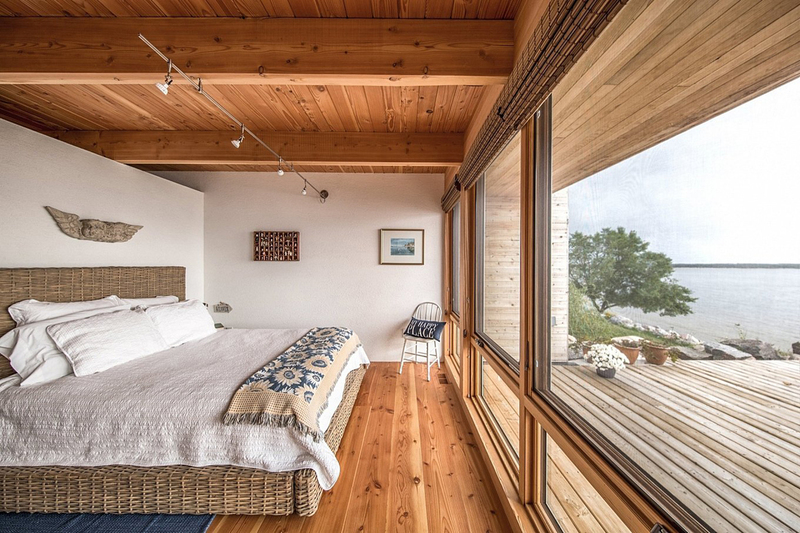 Lower rooflines playfully introduce guests to the spacious, open-plan interior that boasts a double-height ceiling. 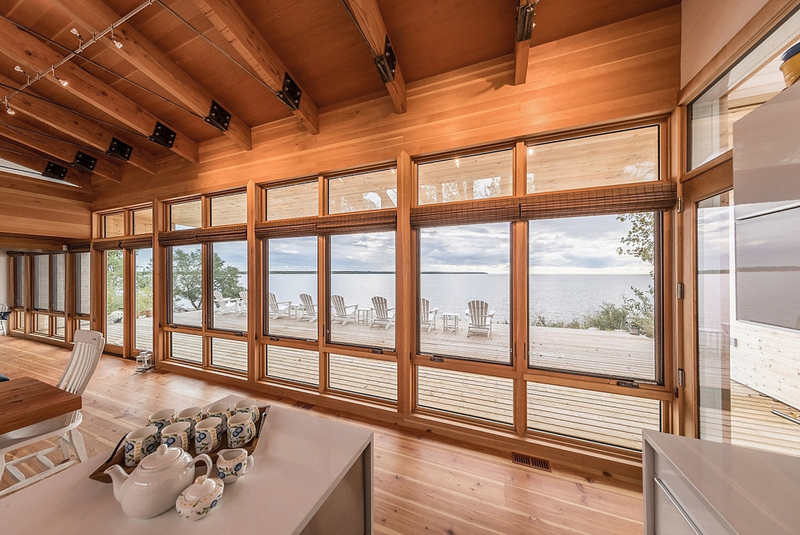 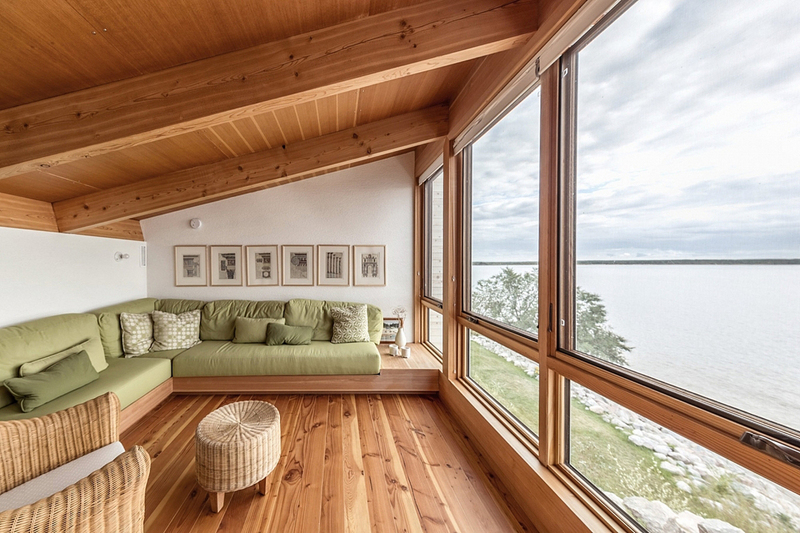 This expansive space acts as the heart of the house and provides incredible views of the waterline through large windows that open towards a deck area, while also bringing nature inside the living spaces. 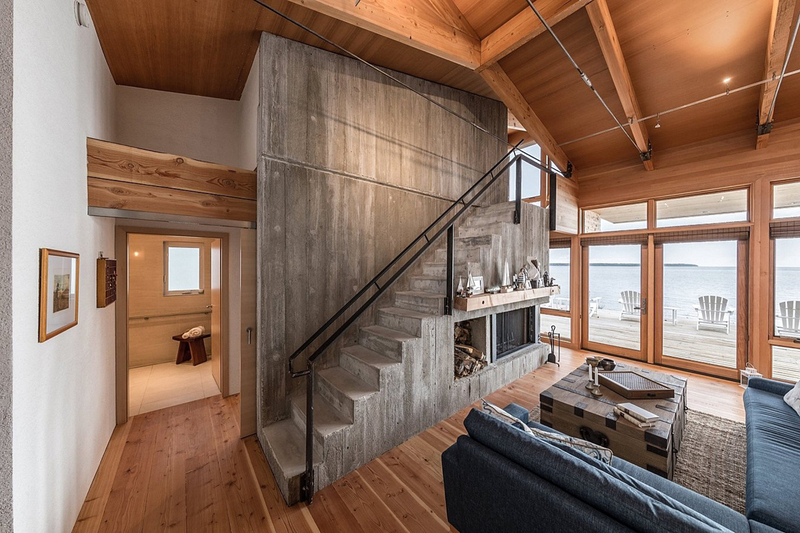 Raw steel and urban concrete add a modern accent to the wooden surfaces, along with the built-in fireplace nestled inside the staircase. 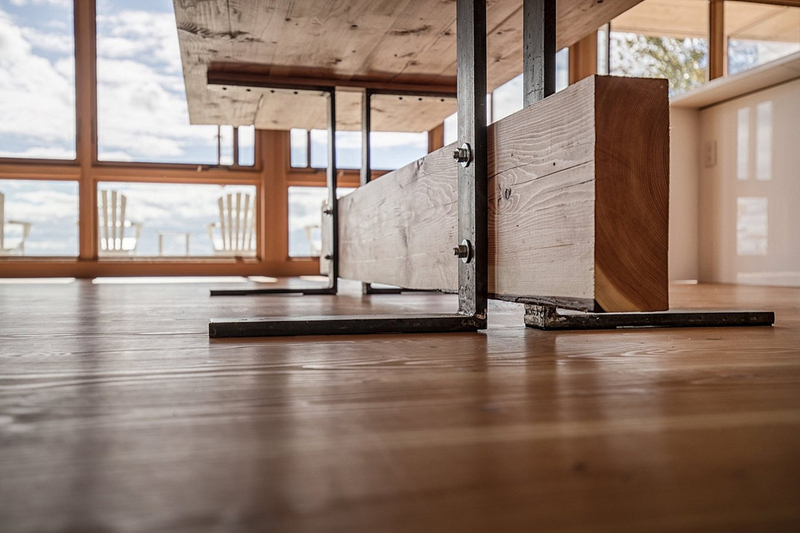 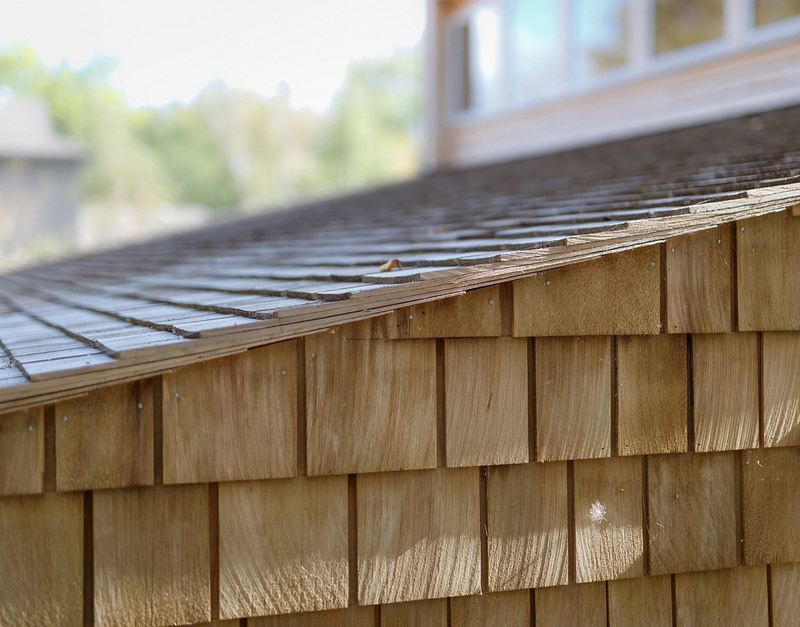 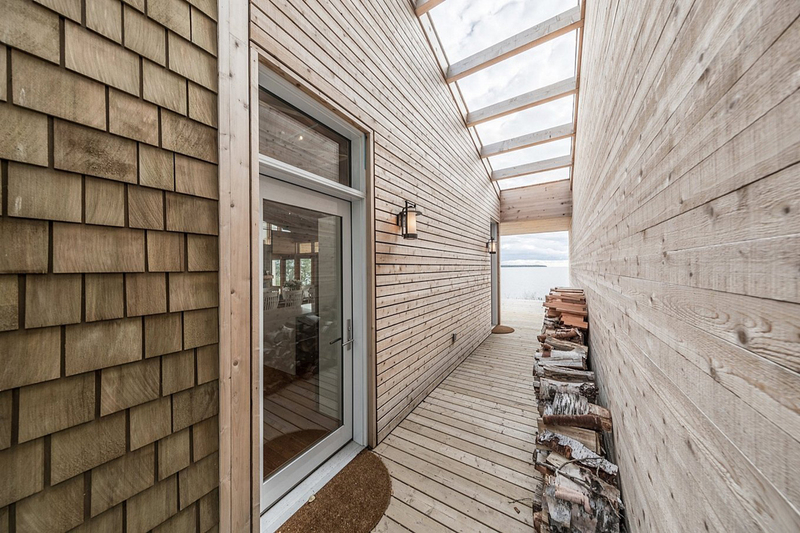 The front and back façades feature horizontal cedar cladding in a twist on the traditional shiplap planks found across the region, with the wood left exposed to allow the beach house to gain a silver patina over time.